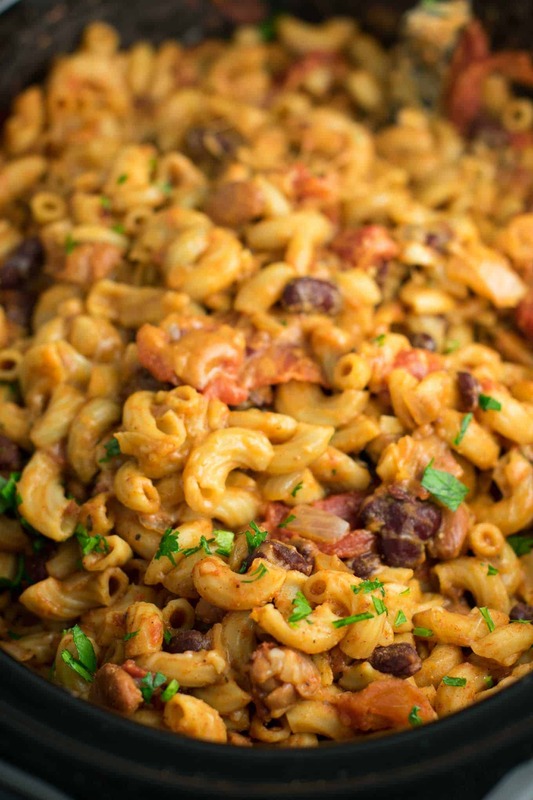 Slow cooker vegetarian chili mac is what’s for dinner and I can’t wait to share the recipe with you! Chili is a fall favorite recipe that I always find myself craving as soon as that first few morning chills hit. Waking up to weather in the 60’s is what I live for! 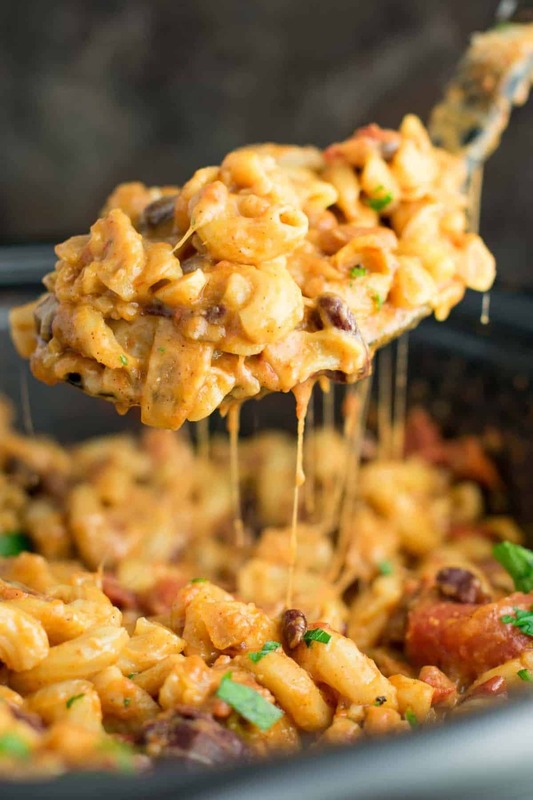 This recipe takes traditional chili to the next level but adding macaroni noodles and cheddar cheese to make the classic favorite chili mac! 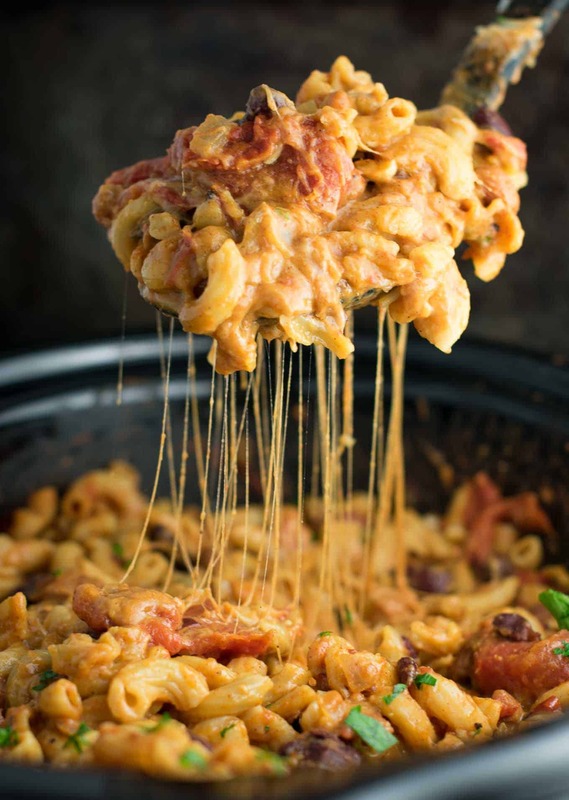 This delicious recipe is another way to answer the question Can You Cook Pasta in a Crock Pot? First, you will cook your fresh garlic and onion until soft. These give the chili mac tons of flavor, but you don’t want to end up with crunchy onions, so we are going to cook them first before adding to the slow cooker. Add your cooked garlic and onion, and all the ingredients for the chili to the slow cooker. Cook on high for 2 or 2 and a half hours, until chili is hot and bubbly. Add in your uncooked macaroni noodles and cook an additional 20 – 40 minutes. 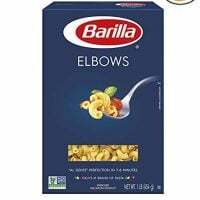 To avoid mushy macaroni noodles, keep a close eye on them while cooking. Since the chili is already hot, the noodles will cook in no time at all. You want to cook them to al dente and no longer to avoid losing all the texture. This should take no more than 20 – 40 minutes, but I usually find it is on the shorter side for me! Once your noodles are cooked, stir in the cheddar cheese and garnish with fresh parsley and you are ready to eat! This recipe makes a ton and is great for leftovers! Can we just take a second to talk about that cheese though. 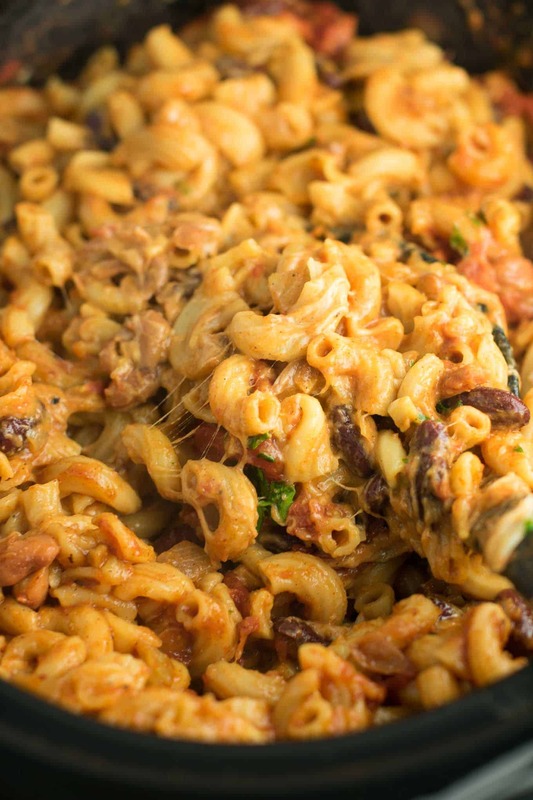 You just can’t make chili mac without a good amount of melty gooey cheddar cheese! For even more flavor, grate your cheddar from a block. I love doing this to take the flavor to the next level! 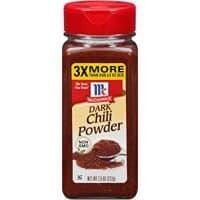 Chili is a great dish to make during the fall and winter for three reasons. And reason #4? That cheese. I mean really, do you need another reason after that picture?! I’m a cheese lover through and through. This recipe makes a HUGE amount, so I recommend a 6 quart or larger slow cooker like this one. You really cannot fit it in a smaller slow cooker because it easily fills the entire 6 qt one. If all you have is a smaller slow cooker, you should cut the recipe in half to ensure you have enough room. You can use any macaroni noodles in this recipe, but I have only tested normal white noodles. If you use gluten free or whole wheat, keep in mind that it could change the cook time. Just keep a close eye to avoid overcooking. 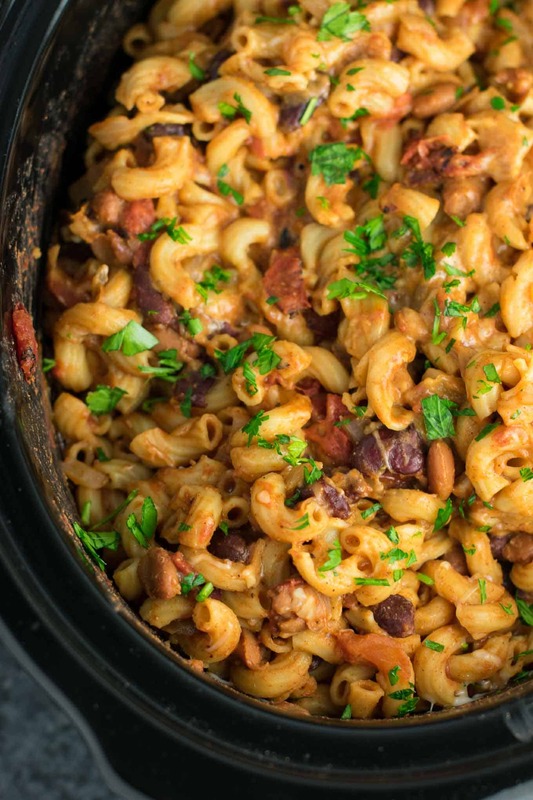 This slow cooker vegetarian chili mac is so easy that you don’t even have to cook the noodles first. No rinsing, nothing. Just pour them straight from the box! 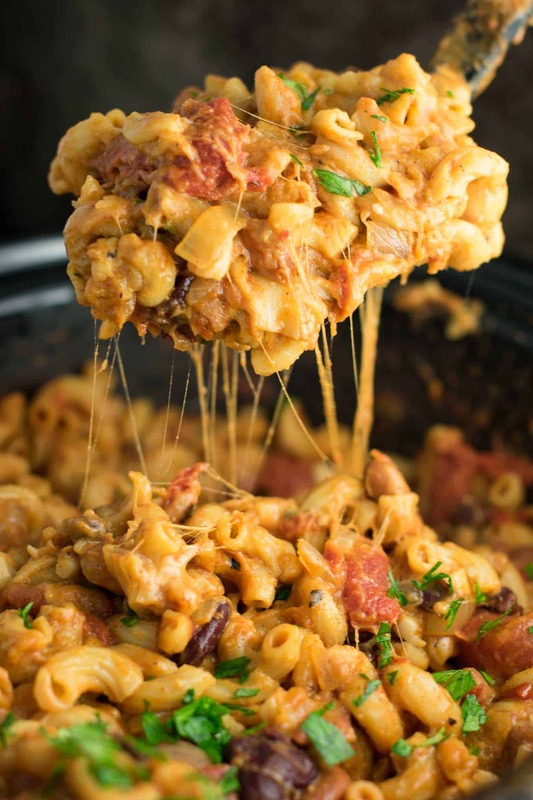 If you’ve tried other crockpot recipes from my blog, you know that I love a good slow cooker dinner with noodles that cook themselves. Another reader favorite is my Crock Pot Baked Ziti – you just layer the noodles in there with everything else! Crockpots are the magical kitchen appliance that I tend to forget about every summer and fall back in love with every fall. Let’s be honest, I don’t always have time to make meals from scratch every night. As a busy mom (like most of us), some days it’s just about keeping the child alive and somewhat entertained let alone making dinner. 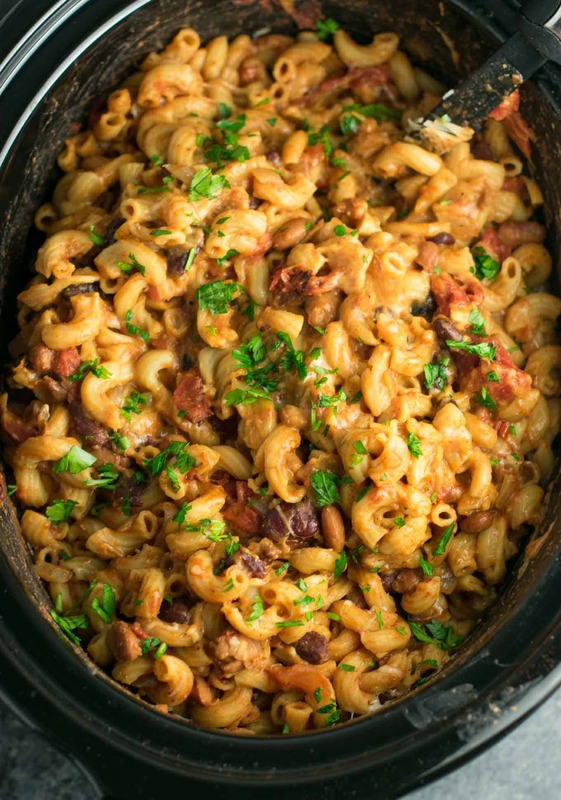 If you need a quick, cheap, filling, CHEESY dinner in your life, try this slow cooker vegetarian chili mac. 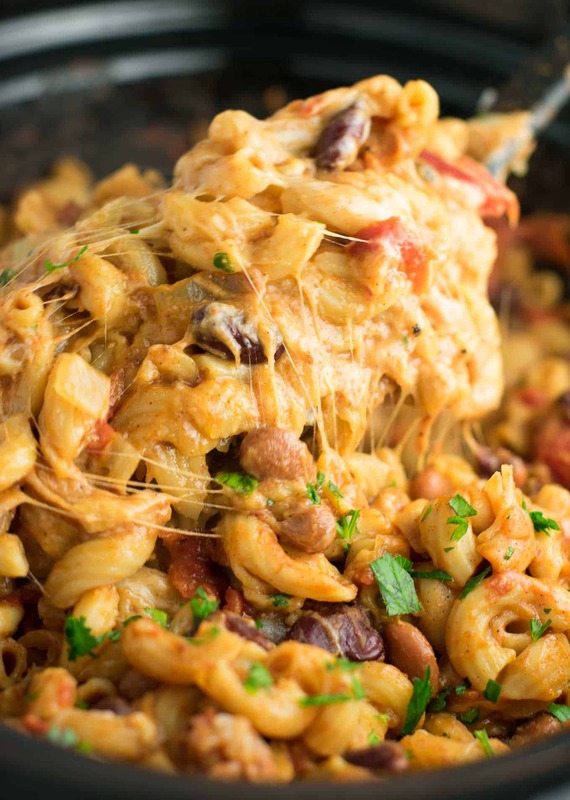 This Slow Cooker Vegetarian Chili Mac Recipe is made all in the crockpot (even the noodles!). A super easy vegetarian crockpot recipe to feed a crowd. 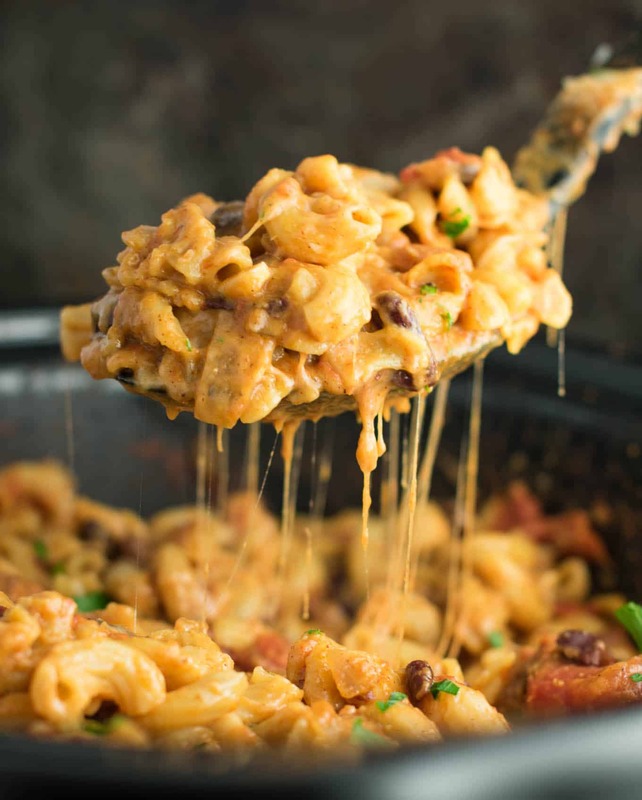 This post contains an affiliate link for a slow cooker that is big enough to fit this slow cooker vegetarian chili mac! 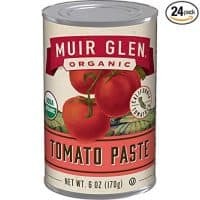 Making this today with gluten-free pasta! Can’t wait to taste it. Awesome! Hope you enjoy the recipe! Oh no! Did you use canned beans as the recipe stated? Dry beans definitely would not work in this. My meat eating husband and brother-in-law loved this dish. I did this on the stove top though. I used vegan cheese instead. Still lovely… no missing the cheese flavour at all! I also added broccoli. That’s awesome! So glad your family enjoyed the recipe Cheryl! Could you cook this on low instead? You could cook on low for 5-6 hours, then change it to high, add the noodles, and it will be done in about 20 minutes 🙂 Hope that helps! Can you cook on low for longer instead? This has been on the meal plan for weeks, I’m so excited to try but work schedule changed! You can cook on low for 5-6 hours. Then after you get home from work, crank it up to high and add the noodles and it will be ready in about 20 minutes 🙂 Hope that helps!